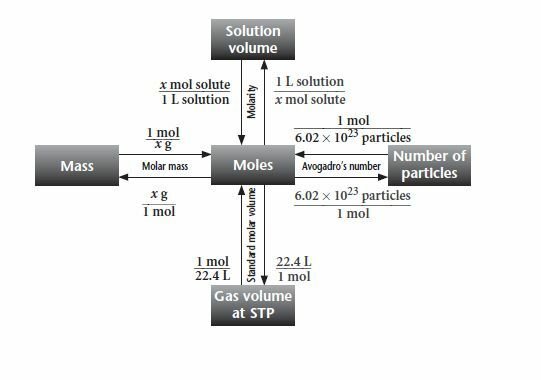 Last class, we learned how to convert between particles to mass (grams); and conversions between mass (grams) to particles. 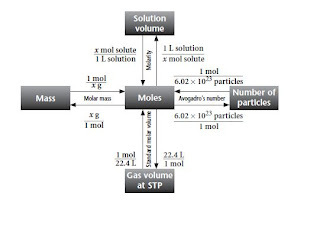 To find the mass of the molecule, another step is added to the equation from last time. = 7.49x 10^21 atoms x 1 mole x 58.9g = 0.733 of Cobalt. From the example above, the placement of 6.022 x 10^23 and the grams are swapped when converting grams→particles. Ex: You want the number of particles in 6.24 grams of Phosphorous. * Please remember that significant figures always applys to the answers! Here is a Mole Map to understand this concept visually! ﻿For more expamples and practice visit this website!